After about a year of being married, Jesse and I decided to start looking for a house. We were looking for a 'new' house, but ended up falling in love with an old 1970's fixer upper. Over the past five years, we've learned to do a lot with a little, and we've slowly turned our once outdated house into a home we love. Most of that journey is documented on this blog. So, let's tour the house. We'll go room by room, see where things started, and see how far we've come. The house tour will be fairly brief, but I'll include a link to each post that goes more in depth about each room in case you want to see more about that space. This is how it looked on day one. And from the opposite direction. You can find the original dining room post here. Next up is our living room. When we first moved in, it looked like this. This room is still very much a work in progress, but you can find some of the original posts here and here. This is what our entryway looked like on the day we moved in (yikes). And today looks like this. 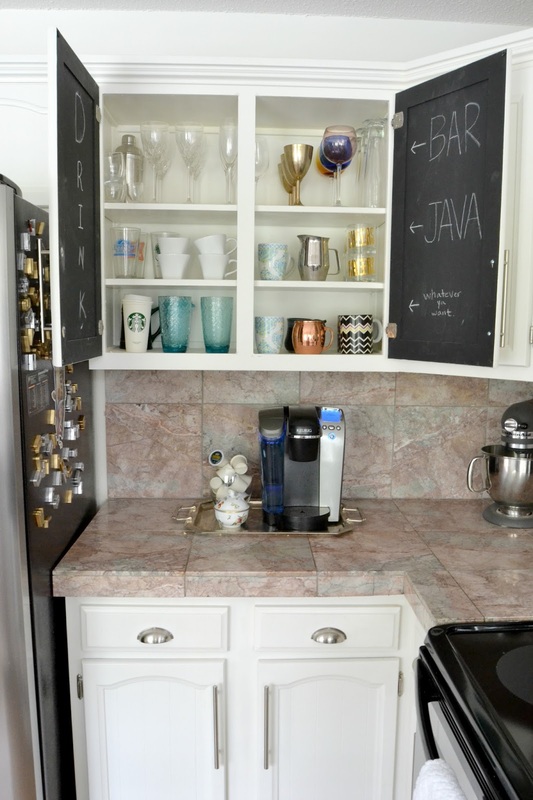 We haven't yet been able to renovate the kitchen entirely, but we did paint the kitchen cabinets white and add chalkboard paint to the interiors of each cabinet door. 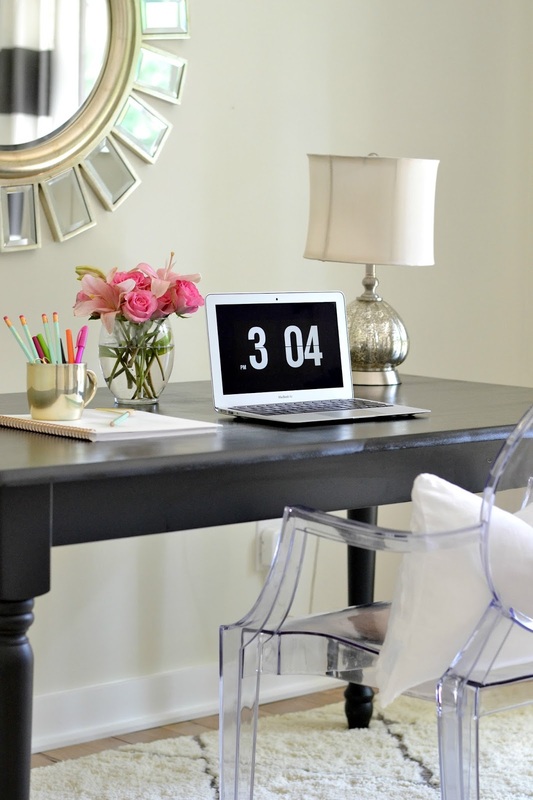 We currently use one of our spare bedrooms as the home office. It started out looking like this. Original office posts can be found here and here, and gold leaf art tutorial (above) can be found here. Our other spare bedroom is used as a guest room. You can see version one here. And the most recent version (my favorite) here. 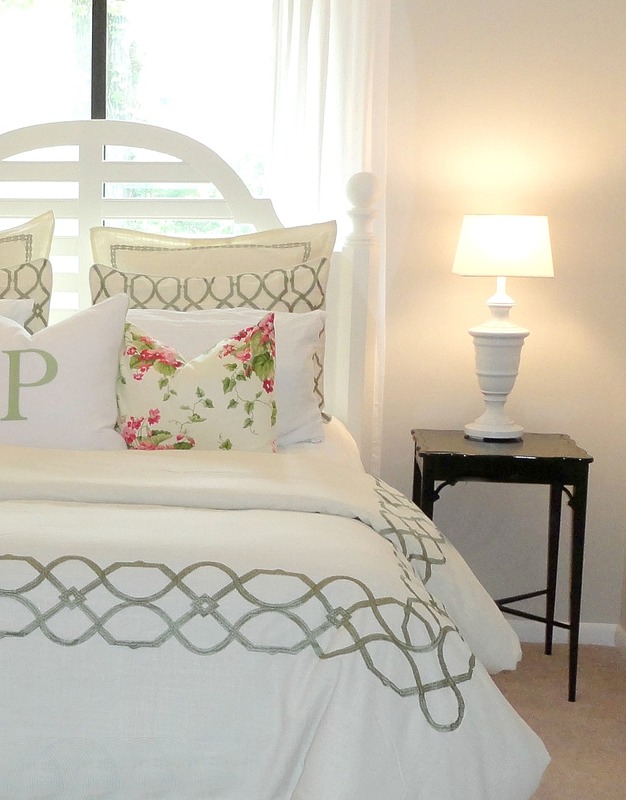 Our master bedroom started out like this. And looks like this today. The original master bedroom posts can be found here, here, here, and here. 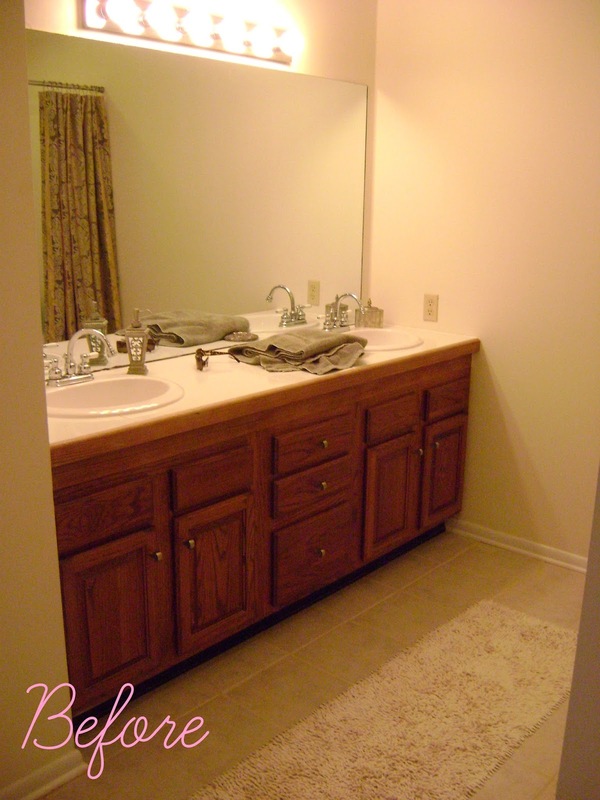 Our master bathroom started out like this. Our guest bathroom started out like this. And today it looks like this. And last but not least, we are currently working on renovating the downstairs level of our house and you can check out the beginnings of that here. 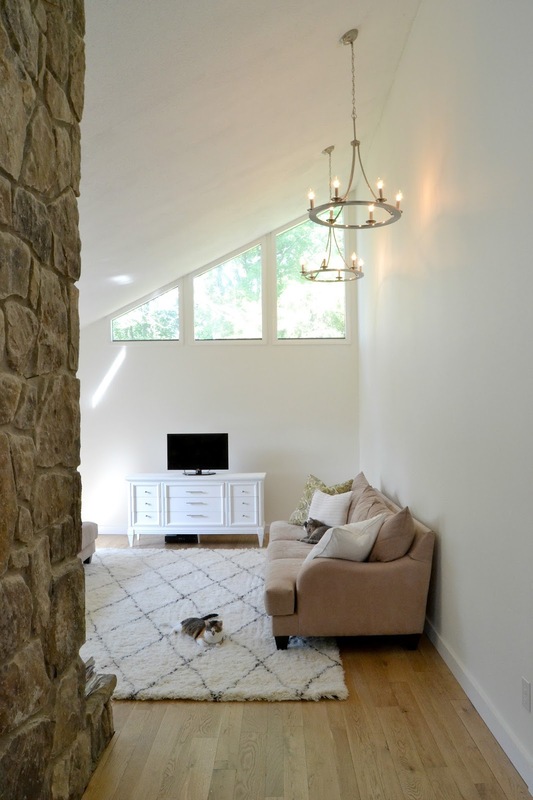 and the finished reveal of the basement here! And that's the house tour! 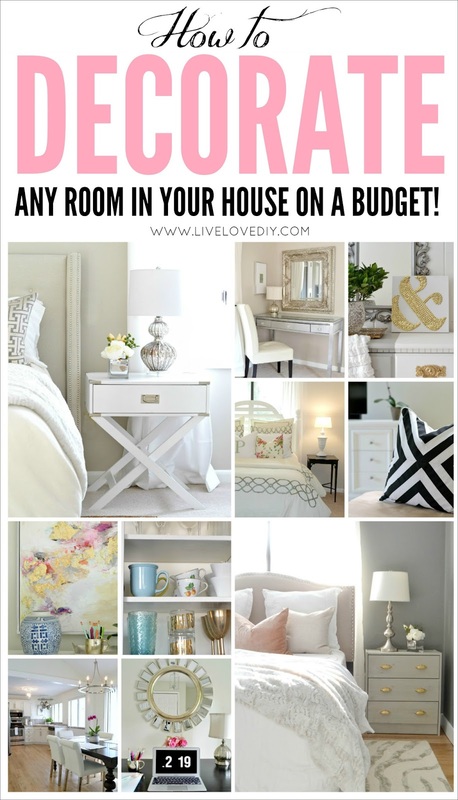 If you are looking for even more ideas, check out my 50+ budget decorating ideas here. 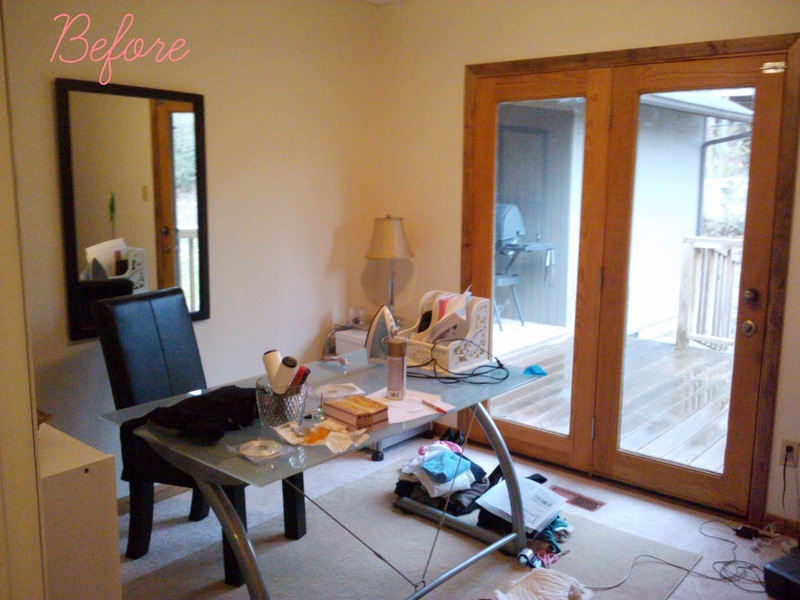 I love all the changes you've done to your home so far. Everything looks so fresh and beautiful. 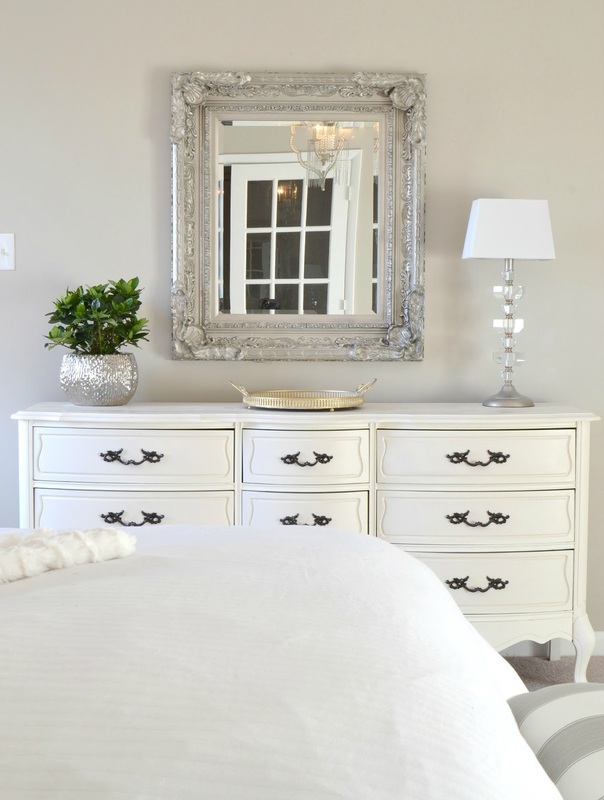 The painted wood is just lovely--especially in your master bedroom. I look forward to seeing your future projects. 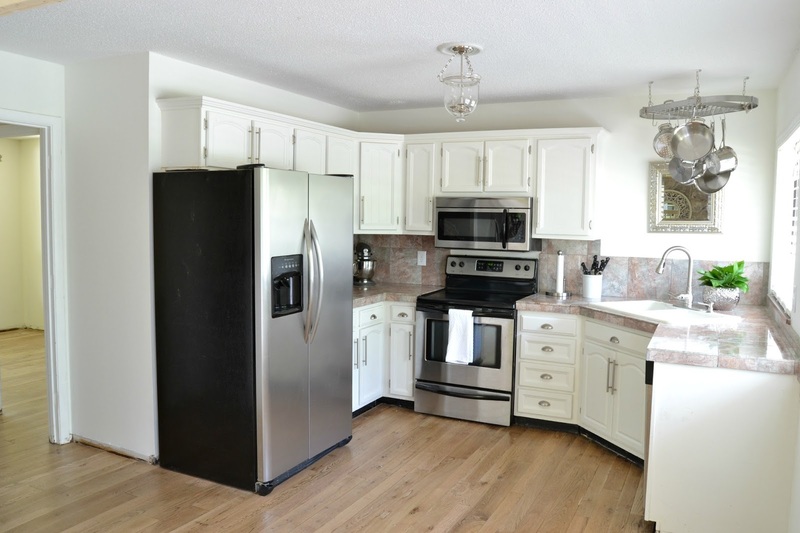 LOVE your kitchen cupboards - what kind/color paint did you use for the outside? We are getting ready to tackle our hideous 70's cupboards and would love them to look like yours!!!! Thanks so much! I wish I could tell you but it was actually a custom color that we had matched to the color of a blanket I liked! haha! It's basically just a white with a hint of ivory. I looooove your home! I just bought a home (it closes in 3 days so I hope you get this in the next couple of days!) and I've been looking for the perfect beige. I love the ones you have. I have a question....you said that you used Behr Sandstone Cliff in your Master Bedroom and in your office you said just Sandstone. Are these 2 different colors? I know Behr has Sandstone Cliff and Sandstone Cove, but did you use one just called Sandstone in your office? Thanks so much!! You're home is so bright and inviting. 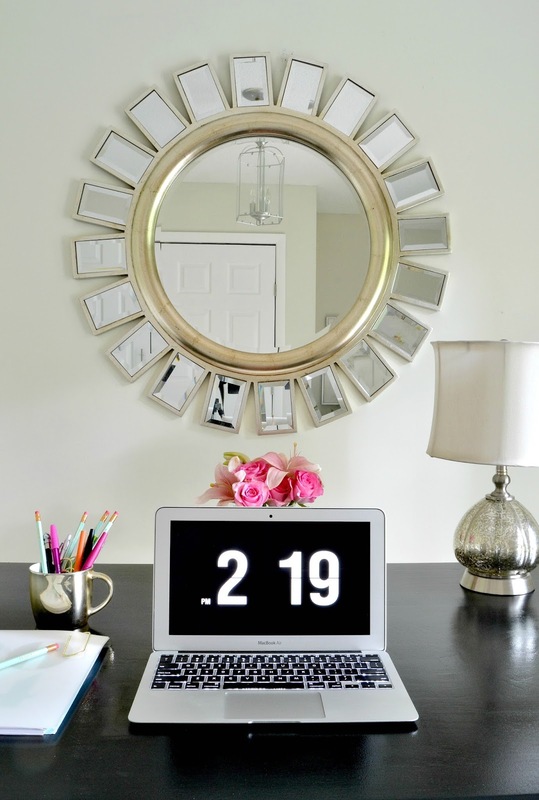 I absolutely love your clean, fresh take on home decor. So glad I discovered you today thru Redhead and Can Decorate! Have a beautiful weekend. It's so bright, lovely, and sweet!! Gorgeous! You have such a beautiful home!! Wow! Your house is AMAZING :) I love how you just knew it was the one and you couldn't leave it. Big improvement! This is my first time to your website. Wow! What a beautiful transformation!!!! Thanks so much for sharing your knowledge with us! We live in a house with wooden trims all over, and I kept saying that when we move to the next house, I want a house with white trims. And, we keep staying here longer than we expected. And, I see your website! Wow...why not make the changes in our current home!!! Question...what did you do with your wooden doors? Did you paint them white? Or did you replace them with modern looking doors (with panels)? Not sure if it would look funny if I use the current doors and paint them white? What do you think? 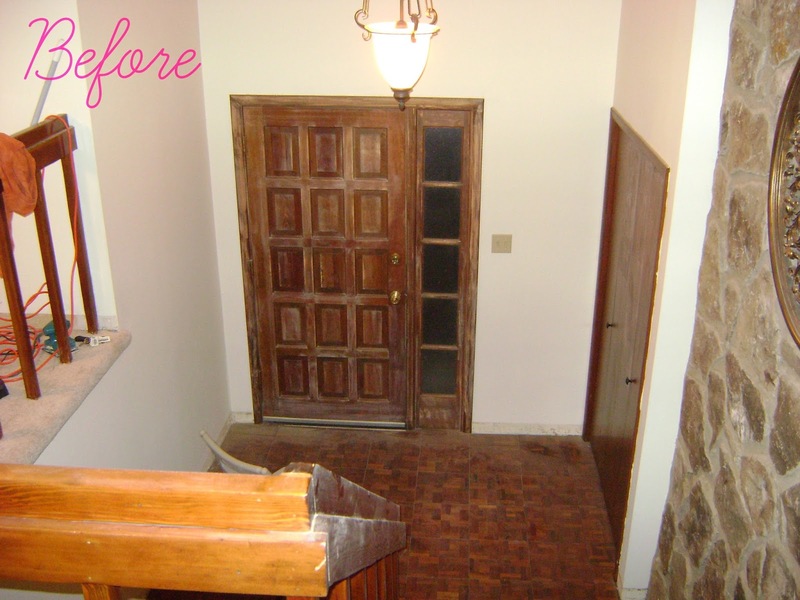 Thanks so much again for sharing your knowledge and pictures of before and after! Beautiful work!! The old version of your house is so much like my house now! I have been dreaming of painting all the trim and woodwork in white but I thought that with my skill level I shouldn't even dare come close to a can of paint :) Your pics and tips got me very motivated though and I am at least going to try with a first small project. As I told my husband, ready or not, here I come! Thanks for the inspiration. I will share results after. Hi Virginia. 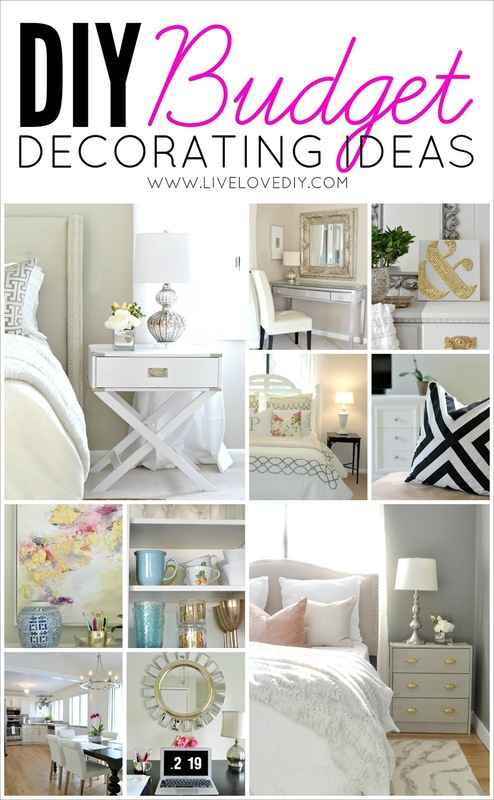 I stumbled across your blog whilst looking for ideas to paint bedroom furniture. I am from Liverpool, England. Hi! I absolutely love your home! Its so fresh and bright. I was wondering, what color is your upholstered headboard? I have been looking for one, but I cant decide if white or "oatmeal' is the way to go. Which is more versatile? Your transformation is beautiful! 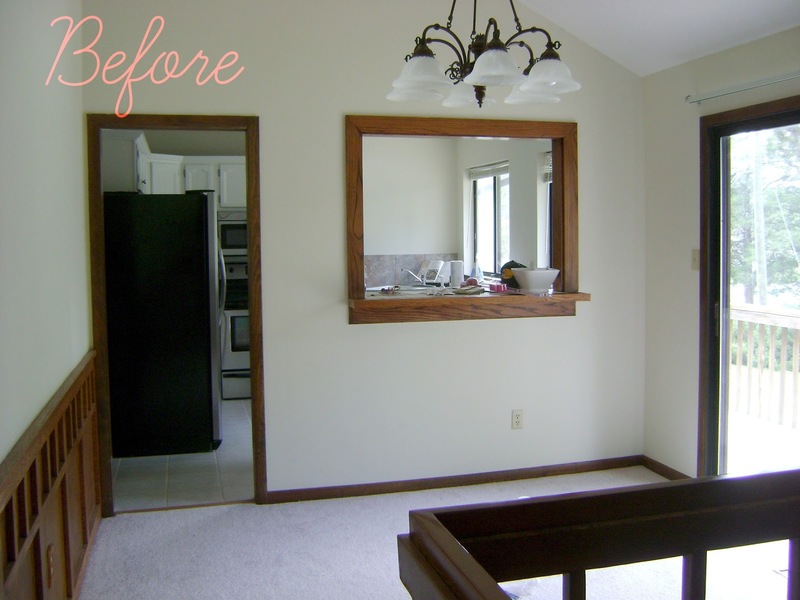 Both of our before pictures of our homes share a lot of similarities. I love the white wall choice and chandeliers added to the rooms. Creates such a peaceful and stunning look! Hi Virgina! First of all... I'm a huuuuuge fan of you. You inspire me so much. I love love love that you share your artistic soul with us. Thank you so much. I really apreciate and value your passion, your efforts and your kindness. I have a question for you: Do you think that I can paint my living room in 2 different colors and layout? 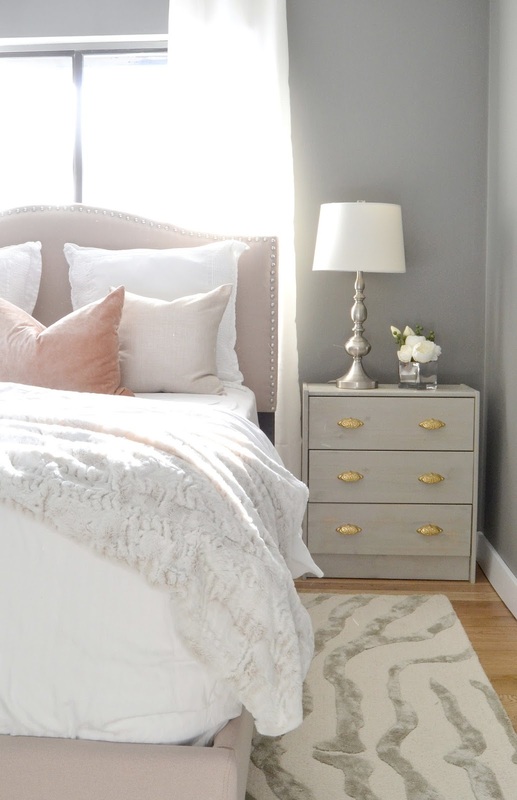 I already have a dark grey wall that I did recently (which I love) and I would love to paint the other wall in stripes (like you have in your Guest Bedroom). I would love to use a brighter color who opens even more my living room... and of course matches with the dark grey color that I already have. What do you think? Open for ideas and suggestions. I absolutely love your spirit! You have inspired an old lady to once again take "sow's ears and make silk purses". 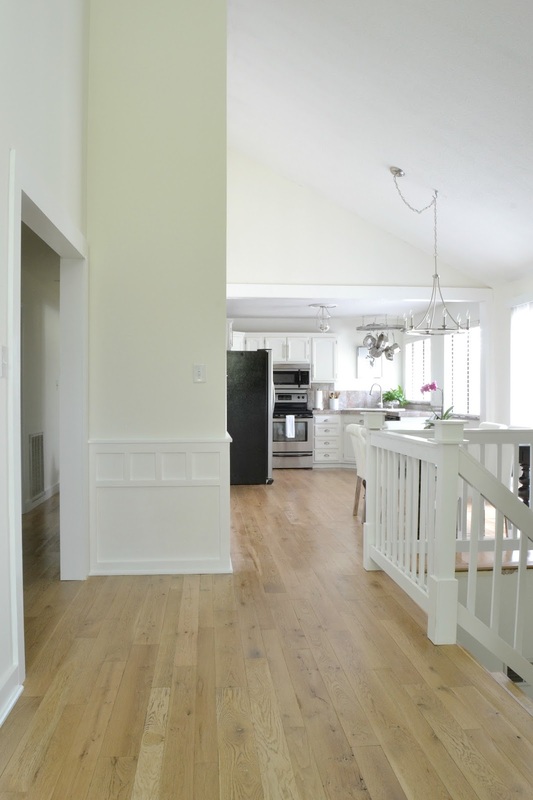 Your home is beautiful thanks to your creative flair and "can do attitude". 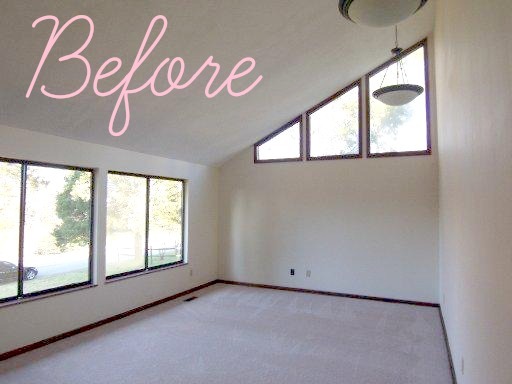 Your before pictures look like my house now. We are trying to sell, but after seeing this I've got the itch to fix it up! Thanks for putting out such an awesome blog! I have never really been a blog person but I am a fan now! You are very inspiring. My to do list is getting longer by the day! I can relate to your posts quite a bit because my house looks very similar to yours. Mine is from '85 and has that orange wood mess too. My kitchen tile is textured white, with white grout. A total nightmare to keep clean! 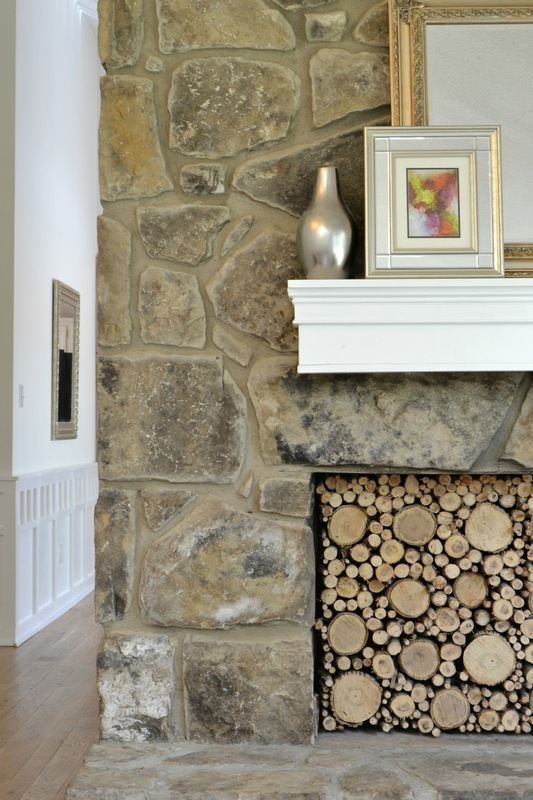 I love your fireplace.......WISH mine was stone.....I have a reddish brick one with an icky brick mantle. Any ideas on ways to work around it? I wish I could send you a pic and you tell me what to do with it haha! Have a great day. Hope you and the family are well. Thank you again. SO inspiring! 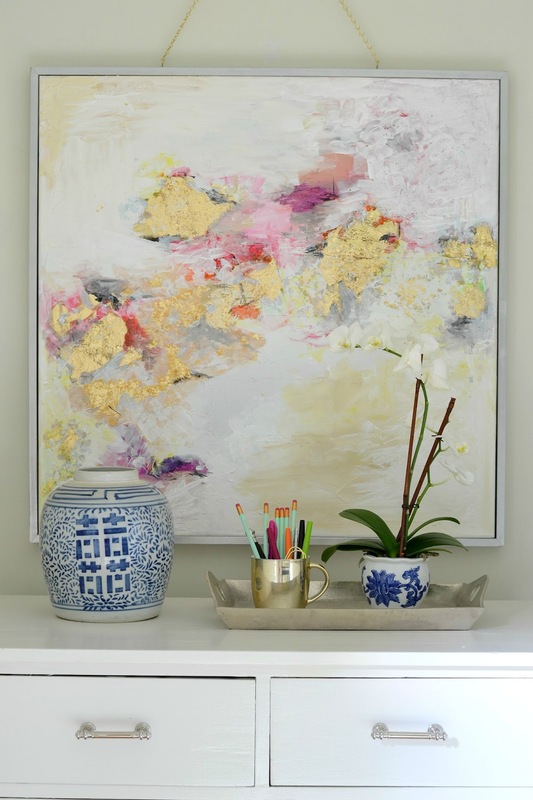 You have lovely taste, the colour schemes are beautiful and everything comes together so nicely! GREAT POST...You're home is so bright and inviting. I absolutely love your clean, fresh take on home decor. So glad I discovered you today thru Redhead and Can Decorate! Have a beautiful weekend. 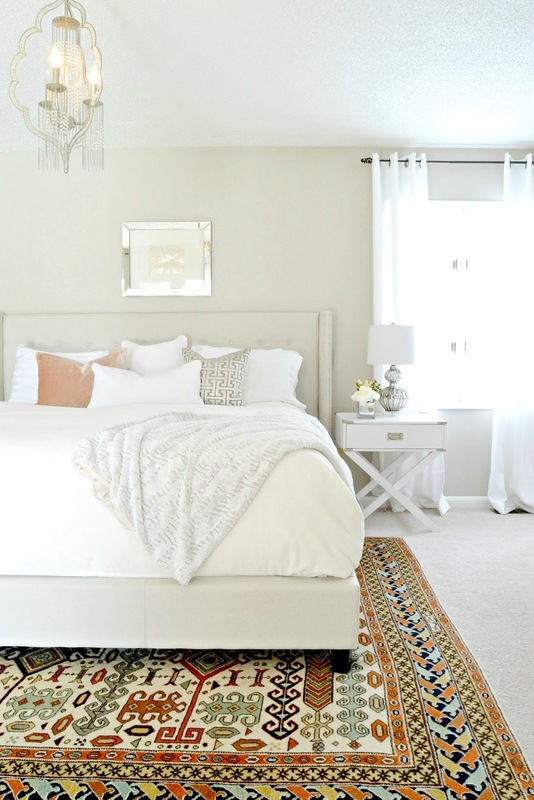 love the area rug in the bedroom. where d I d you find it? What an awesome blog. You've transformed a house into your home. Great source of inspiration for all! It's all just beautiful. 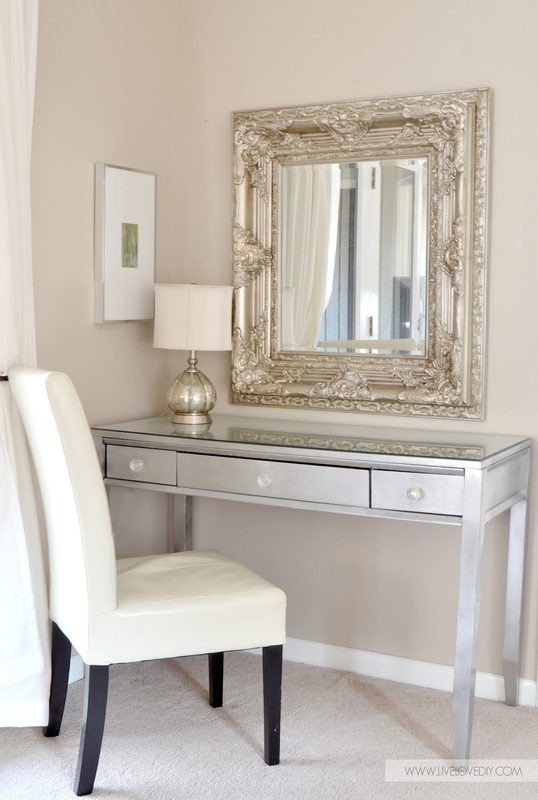 Love the white that makes everything look so light, bright, fresh and clean. I absolutely love your home. 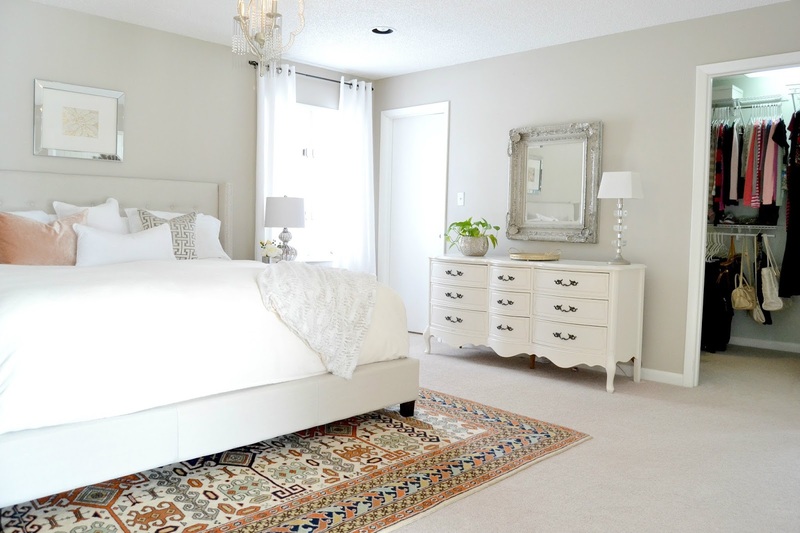 Where did you purchase the rug that is in your master bedroom? 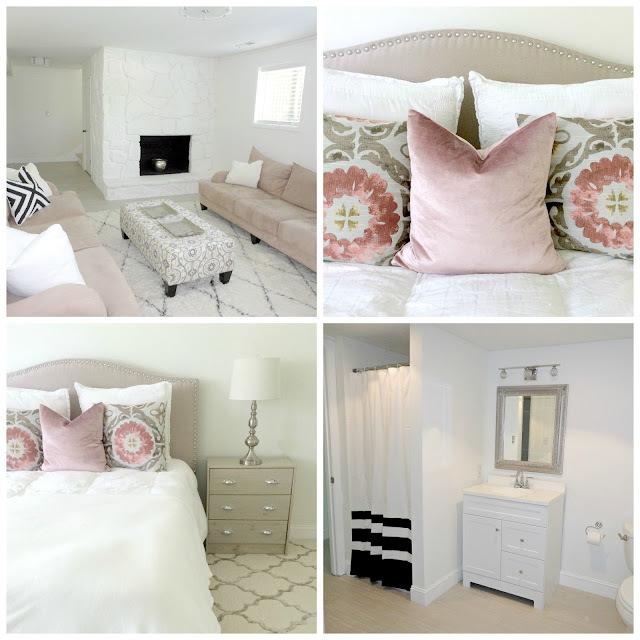 Where did you get the pink and gray pillows on your master bed? Also, from which Etsy store did you purchase the pink pillow on your couch? Love what you made of all the rooms! My house is from 1970 and has the ugly trim and doors everywhere. 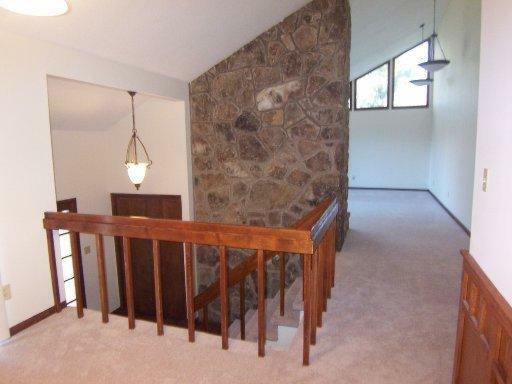 Wasn't trim with nice woodgrain and color available in the 70s? My husband says his favorite color is wood. I've been wanting to paint our trim and doors white too. Maybe when he sees how nice yours looks he'll go for it! I also love the horizontal stripes on the walls I was going to do vertical in my living room but you changed my mind. Thanks for sharing your great ideas. Hello. 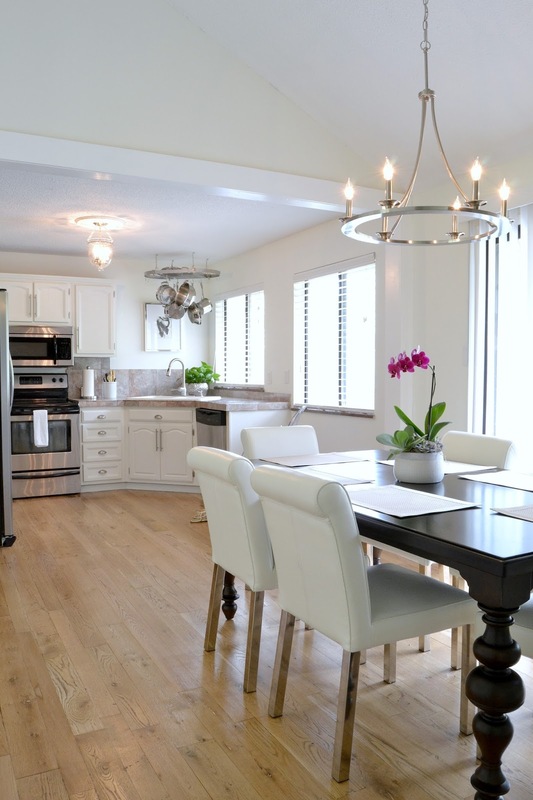 I just found your blog and was wondering where youpurchased your ceiling light in your kitchen? I have just found your blog ...after looking at the covered headboard. You have a really lovely home and it's a credit to you and your hubby. I look forward to looking at all your projects now...thanks for sharing.